Booster sessions are for those who have already participated in an Orientation Workshop and wish to expand their skills in knowledge transfer. Booster Sessions focus on sustaining implementation of Best Practice Guidelines, building on skills in leadership, mentorship, networking and marketing to enhance the Champion role. Get more information on the background of the Best Practice Champions program. 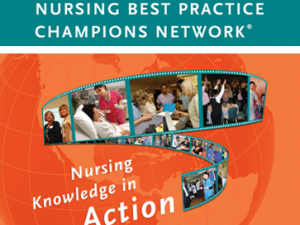 All nurses living and/or working in the province of Ontario are eligible to attend Best Practice Champions® events. Allied health professionals are also eligible to attend, however priority is given to RNs and RPNs. Nurses who must travel to attend an introductory workshop or advanced session may be eligible to receive reimbursement for travel expenses. To apply for reimbursement, you must fill out a travel reimbursement request form and submit it BEFORE the workshop (form provided upon request after registration). If approved, you will be required to submit receipts and other relevant documents following the workshop. Please note that reimbursement generally takes 3-6 weeks following receipt of your expense claim. Travel Reimbursement is made possible through funding from the Government of Ontario’s Ministry of Health and Long-Term Care.